Creatively landscaped outside area is the perfect spot to enjoy when looking for an escape from the daily life and chores. Here is why you have come to the right place if looking for re-design of your London garden. We believe that the only way to deliver complete customer satisfaction is to stay truthful to our commitment to excellent - regardless of the size of the project we take on. 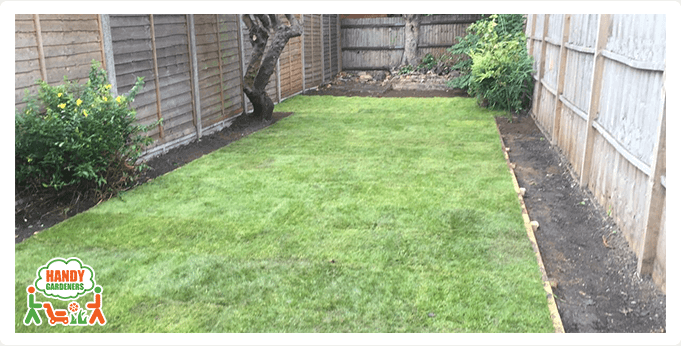 You do not need to spend a lot of money to build your dream garden because our reliable landscapers will make your dream come true as they did for this family in Southwark, England. There comes a day when everyone's garden starts to look a little overgrown. 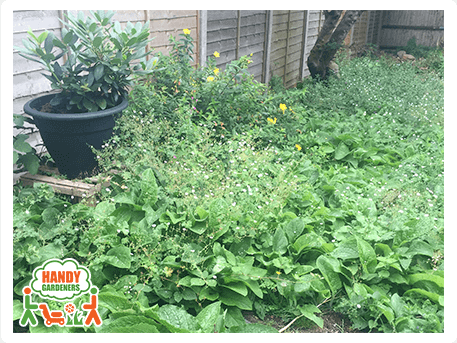 After our customer had postponed the inevitable maintenance in his garden, he needed some professional help with it. Our highly creative garden design team had visited the garden in advance. The future nice garden needed a makeover. The plan was the garden to correspond to the cosines the client had dreamed about. 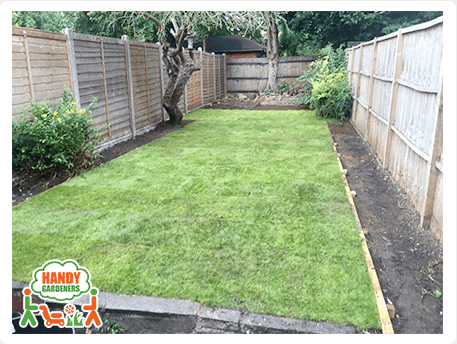 He just wanted a nice and tranquil backyard which included few landscaping jobs such as returfing with natural grass and creating flower beds with wooden borders. But before all that to be started our qualified landscapers needed to tidy up the area. The on-site consultation was a great way to develop initial ideas and gain inspiration for transforming the client's garden. During this consultation the team discussed all the elements of the process including how the client would like to use the space, budget, timing and material suggestions and recommendations. 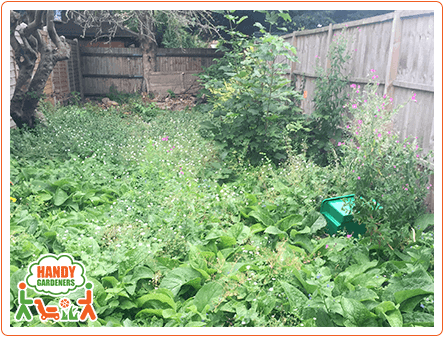 First, the hard working landscapers cleared the overgrown garden back to a blank canvas in preparation for the new garden design. In addition to the excessive greenery that they had to deal with there were a few stumps to be removed. Everything was collected and disposed of the property, so the phase one was finished. 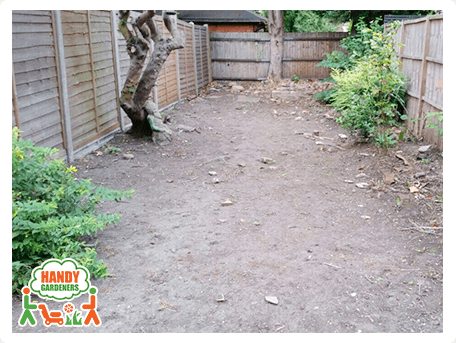 Then it was time to level the area before laying the new grass and landscape the garden up to the client's standard. New piles of soil were brought up and piled up on even rows so it could be raked across the entire area to be returfed. The leveling was a very important part of the service because this was the foundation of the project. 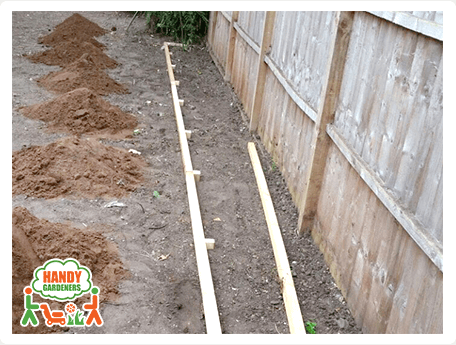 While dealing with this task, our handy gardeners marked with wooden borders the precise outline of the flowerbeds. 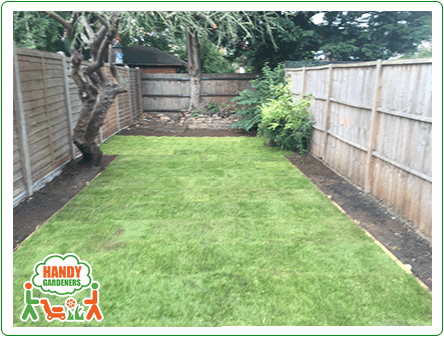 After completing all the necessary steps in preparing the area, we were ready to lay the turf. The team made sure that the ground was properly leveled. The client preferred having natural turf versus artificial one, so we had the chance to turn the backyard into a small piece of green paradise. Rows of the garden beds along the fences were an easy way to add a personal touch to the garden. 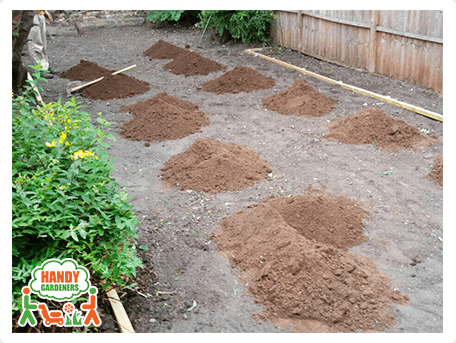 Flower beds can be created from all kinds of materials ranging from wood to garden timbers. Our dear client preferred the ones you could see from the photos. The flower beds which we had created would provide a great opportunity to grow plants that are not suited to the specific soil type since they could be filled with the type of soil which will accommodate with the flowers the client would like to plant. We endeavour to create spaces that people want to spend time in. Spaces to relax in, rejuvenate in and enjoy, because that is what gardens are about. We believe that we have accomplish our mission with achieving such stunning final result.